​The Women in the Arts & Media Coalition announced today that the keynote speakers at their annual Collaboration Awards Gala will be Sirius XM Stars THE MOMS, Denise Albert and Melissa Gerstein. The Collaboration Awards recognize women in the arts and media who successfully collaborate across disciplines to create new and influential work. This, the fifth annual Collaboration Awards Gala, will be held Sunday, October 25, 2015. The 2015 Collaboration Award winners are playwright T.D. Mitchell and director SherylKaller for the project QUEENS FOR A YEAR. The award will be presented by CaseyMcLain and Amy Rose Marsh of Samuel French, Co-Artistic Directors of the Samuel French OOB Festival. Hosts of the event are current and past Co-Presidents of the Women in the Arts & Media Coalition, Shellen Lubin, Leslie Shreve, and Avis Boone. QUEENS FOR A YEAR, Mitchell and Kaller’s 2015 Collaboration Award winning play, addresses critical questions about women in the military through a beautiful study of four generations of a family: does a woman have to sacrifice what is female and assume a male attitude to succeed in a male-dominated warrior culture? Is there any “good” place for women trained in combat, in violence, in war, within our society? Is it moral to put women into a career where the greatest danger is from her fellow (male) coworkers, rather than “the enemy”? At what price do we put women into a subculture whose language denigrates anything female? And what about women’s unsung role as the clean-up crew for men harmed in war? New York Senator Kirsten Gillibrand commended QUEENS FOR A YEAR for "telling this difficult story and shedding a light on women in the military." She added to all the collaborators being honored, "It is my hope that your collaborations continue to tell stories that must be told and inspire change in our communities." The Collaboration Awards encourage professional women in the arts and media from different specializations to work collaboratively on the creation of new work. The award recognizes the best of these collaborations. Awarded every second year, the Collaboration Award goes to one winning project (and its two creators). This year there are also three Honored Finalist projects and teams, and four additional Finalist projects and creator teams. 2015 marks the fifth time these awards have been given. The Collaborative Awards Gala is a celebration of the awards and an evening to enable the public to meet and hear from the award-winning teams, learn about their collaborations, and hear from industry-leading women about important contributions women are making in the many disciplines of the performing arts. 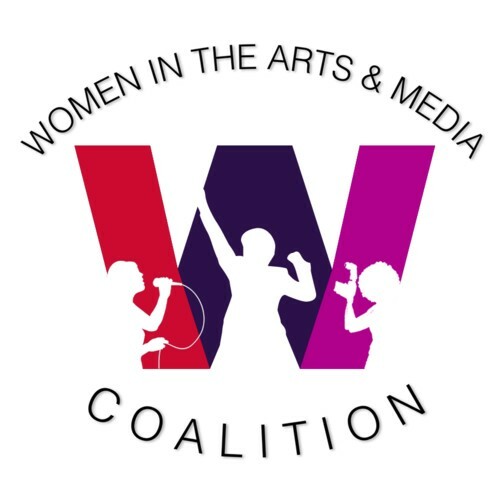 Women in the Arts & Media Coalition, a non-profit organization, represents more than 100,000 women and men in the performing arts and media through its member organizations and affiliates. The Coalition combines its member organizations' abilities and strengths, focusing on issues of concern to women in the arts and media. It is committed to being the link between its member organizations as they collaborate to empower women in the arts, entertainment, and media industries through advocacy, mentoring, networking, and events. *Member organizations are: Actors' Equity Association (AEA), Associated Musicians of Greater N.Y. Local 802 AFM (802 AFM), Dramatists Guild (DG), League of ProfessionalTheatre Women (LPTW), SAG-AFTRA, Stage Directors and Choreographers (SDC), N.Y. Women in Communications (NYWICI), N.Y. Women in Film & Television (NYWIFT), and the Writers Guild of America, East (WGAE). Affiliates are: WomenArts (WA), Women in Music (WIM), Women Make Movies (WMM), Works by Women (WBW), Women's Media Center (WMC), Dancers Over Forty (DO40), Drama Desk (DD), International Centre for Women Playwrights (ICWP), The Lambs, L.A. Female Playwrights Initiative (LA FPI), National Theatre Conference (NTC), Professional Women Singers Association (PWSA), the Rehearsal Club (RC), and 365 Women a Year (365). For more information on Women in the Arts & Media Coalition, visit www.womenartsmediacoalition.org.